Owls are a bird that features prominently in the myths and legends of a variety of cultures. These mysterious creatures are known far and wide as symbols of wisdom, omens of death, and bringers of prophecy. In some countries, they are seen as good and wise, in others, they are a sign of evil and doom to come. There are numerous species of owls, and each seems to have its own legends and lore. Let's look at some of the best-known bits of owl folklore and mythology. Athena was the Greek goddess of wisdom and is often portrayed with an owl as a companion. Homer relates a story in which Athena gets fed up with the crow, who is a total prankster. She banishes the crow as her sidekick and instead seeks out a new companion. Impressed with the owl’s wisdom, and levels of seriousness, Athena chooses the owl to be her mascot instead. The specific owl that represented Athena was called the Little Owl, Athene noctua, and it was a species found in great numbers inside places like the Acropolis. Coins were minted with Athena’s face on one side, and an owl on the reverse. There are a number of Native American stories about owls, most of which related to their association with prophecy and divination. The Hopi tribe held the Burrowing Owl as sacred, believing it to be a symbol of their god of the dead. As such, the Burrowing Owl, called Ko’ko, was a protector of the underworld, and things that grew in the earth, such as seeds and plants. This species of owl actually nest in the ground, and so was associated with the earth itself. The Inuit people of Alaska have a legend about the Snowy Owl, in which Owl and Raven are making each other new clothes. Raven made Owl a pretty dress of black and white feathers. Owl decided to make Raven a lovely white dress to wear. However, when Owl asked Raven to allow her to fit the dress, Raven was so excited that she couldn’t hold still. In fact, she jumped around so much that Owl got fed up and threw a pot of lamp oil at Raven. The lamp oil soaked through the white dress, and so Raven has been black ever since. In many African countries, the owl is associated with sorcery and baneful magic. A large owl hanging around a house is believed to indicate that a powerful shaman lives within. Many people also believe that the owl carries messages back and forth between the shaman and the spirit world. In some places, nailing an owl to the door of a house was considered a way to keep evil at bay. The tradition actually began in ancient Rome, after owls foretold the deaths of Julius Caesar and several other Emperors. 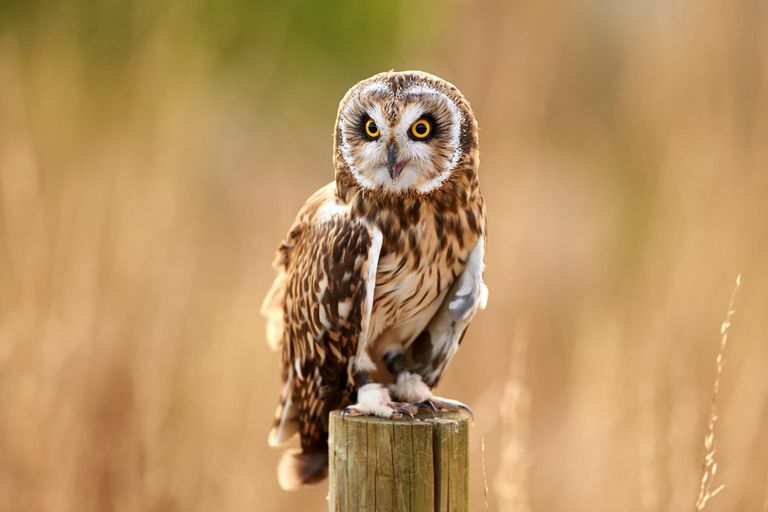 The custom persisted in some areas, including Great Britain, up through the eighteenth century, where an owl nailed to a barn door protected the livestock within from fire or lightning. Jaymi Heimbuch of the Mother Nature Network says, "Though the owl's nocturnal activity was at the root of many superstitions, the amazing ability of an owl to rotate its neck to extraordinary degrees was even turned into a myth. In England, it was believed that if you walked around a tree that an owl was perched in, it would follow you with its eyes, around and around until it wrung its own neck." Even before Scott, William Shakespeare wrote of the owl’s premonition of death in both MacBeth and Julius Caesar. Much of Appalachian tradition can be traced back to the Scottish Highlands (where the owl was associated with the cailleach) and English villages that were the original homes of mountain settlers. Because of this, there is still a good deal of superstition surrounding the owl in the Appalachian region, most of which are related to death. According to mountain legends, an owl hooting at midnight signifies death is coming. Likewise, if you see an owl circling during the day, it means bad news for someone nearby. In some areas, it is believed that owls flew down on Samhain night to eat the souls of the dead. If you find an owl feather, it can be used for a variety of purposes. The Zuni tribe believed that an owl feather placed in a baby’s crib kept evil spirits away from the infant. Other tribes saw owls as bringers of healing, so a feather could be hung in the doorway of a home to keep illness out. Likewise, in the British Isles, owls were associated with death and negative energy, so feathers can be used to repel those same unpleasant influences.